Southwest Minnesota's premier residential and commercial waste collection company. Schaap Sanitation provides collection, transfer and recycling services within these 6 counties SW Minnesota counties: Cottonwood, Jackson, Murray, Nobles, Pipestone, and Rock. 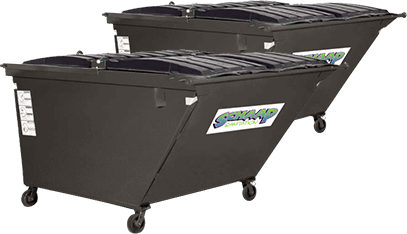 In addition to providing regular trash and recycling pickups across the greater Worthington, MN area, Schaap Sanitation also offers convenient small project dumpsters. Our containers come in a wide variety of sizes and can help your home or business to "contain" the debris from your construction and remodeling projects, special events and more. Learn more about our SW Minnesota Small Project Dumpsters here. We make it easy to pay your SW Minnesota Garbage and Recycling bill online with your American Express, MasterCard and Visa. To pay your Schaap Sanitation recycling bill, visit our Online Bill Pay page.